The roof is one of the important parts of our house and plays a vital role. Just like walls, it makes our house or building look accomplished. Also, it acts a safeguard that protects us from natural weather conditions such as hail, wind, storm and so on. Moreover, there are many factors that can damage your house roof. Out of many, hail and wind roof damage are the two biggest threats. This damage breaks the base and durability of your house roof or makes your roof weak. Small roof damage can cause a big problem and can become more expensive especially if you ignore it. To avoid these types of roof damage, you can take the help of professional roof inspectors to find out the unnoticed damage. Professional are very trained to identify the roof problem. If you have your private house, then you need to consider all the factor that will affect your home. 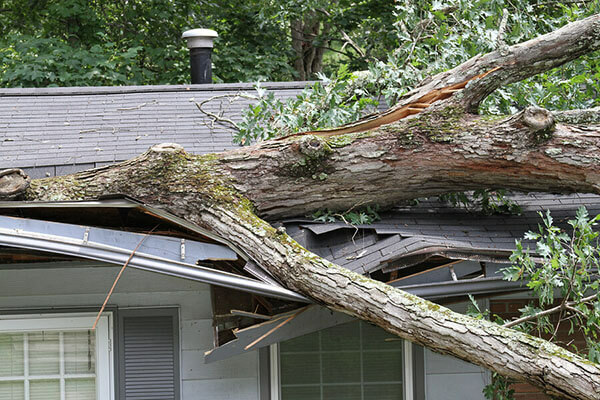 Here are some different types of causes of roof damage in Memphis, TN. Poor maintenance is one of the leading causes of roof damage, to avoid this you need to maintain your house and have to consider all the small problem, damage, and leaks. As these little problems, later on, cause a big issue. Regular maintenance can prevent your roof from significant injuries. No doubt, a complex nature element such as snow, rain, sun humidity and many other also affect various material like colors, styles used on a roof. This natural element also destroys the roofing elements poorly. But it is important to ensure that to get it repaired, having the assistance of an expert roofing company is very crucial. For that, you can either take a suggestion from people who recently renovated their home, including roof or from those, who just constructed a new home. They will tell you about the service quality they have achieved. Another vital aspect is to look on the internet. There are many websites that offer a wide selection of local roofing contractors who can help you instantly against the hail roof and wind damage. The only thing requires the proper research and knowledge that can assist you in getting a right contractor for your roofing needs. Many people don’t realize that their roof has been damaged till they see a leak or falling shingles, at which point the issue is already far gone. The only way to catch these situations early, when they are much easier and less costly to repair, is to perform conventional roof inspections. Here are a few of the most important things to try to find. First be safe when you go up onto your roof. Always make certain that someone knows you are there or have a person monitor you. Move slowly and cautiously, utilizing your hands to support you, even crawling to give yourself much more grip. Take into consideration having an expert roof examination. Our trained inspectors understand exactly what to search for, and will have the appropriate experience and safety equipment. If you see cracked tiles or shingles, avoid walking on them. They might break. Notice whether wear is evenly distributed or located in just one location. Different inclines are exposed to various conditions, such as the direction of the wind or direct sunlight. The kinds of damages that a roof can suffer depending on the materials. For asphalt roofing, one of the very early signs of damage is granule loss from shingles. Curling of cuts is yet another sign to watch for. They may additionally show holes, scarring (as from extensive contact with tree branches), or delamination. Discoloration of shingles which are usually intact is a cosmetic issue and not considered damage. Wooden shakes might show cracks, curling, or could be missing entirely. If the underlying felt has been shown, this can result in leaks and should fix. On any roof, check the flashing and sealant for gaps. Do not neglect to examine the roof from the inside. In the attic or crawl space, look for any damage to the structural supports for sagging or cracking. With a spotlight, look all around for any evidence of water damage, holes, or gaps. call us today to get a free inspection and we will make sure to give you the best services available in the market today.